Justice is important but has been an elusive thing for us. Justice essentially means you get what you deserve. An eye for an eye, a tooth for a tooth, a life for a life. We lost a vital life recently with the murder of a beautiful, productive, caring and faithful Black woman in Newark, N.J. 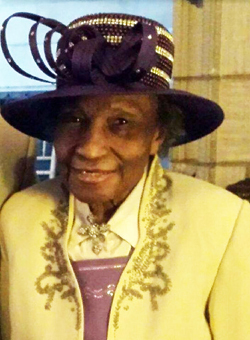 The 85-year-old grandmother was Mother Annie King and the mother, grandmother and great-grandmother of Muslims. 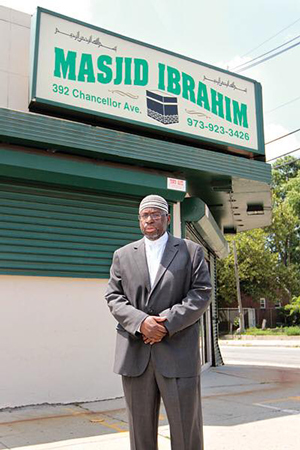 Her son is Mustafa El-Amin, who leads a masjid in Newark. Her daughter, Latanya Muhammad, and grandchildren Sahera Muhammad and Hannibal Muhammad are Muslims in the Nation of Islam. Annie King’s other children are Larry King, William King, and Terry King, who is deceased. According to her son, Bruce Hay, the Black man arrested in her killing was someone Mother King was trying to help. And she was always trying to help someone: She was a retired educator, visited the sick at a local hospital, donated gifts to her son’s mosque and walked the streets of her Newark neighborhood looking to help people. She was making her community a decent place to live. Imam El-Amin told a reporter his mother scrubbed floors, working in the home of a Jewish family. Later Mother King would buy the same home and live there. Unfortunately, she was attacked in her home and beaten in a savage and heartless way. She succumbed from those injuries. Robbery may have been the motive for the crime. What a loss to her family, her community and her Nation. We want justice for Mother King. While the accused killer was arrested relatively quickly, if the courts in Newark work like courts in urban areas across the country, it could be years before this suspect goes to court and justice is done. We must ensure justice is done by a system that all too often does not feel Black Lives Matter and easily releases killers back into our neighborhoods. In a similar tragedy, in which, Arthur Hearn, a Muslim pioneer in Chicago was assaulted and died from the attack, it has been three years with no resolution. I and other Muslims have diligently attended hearings in his case, no matter how “unimportant” the hearing was in the eyes of prosecutors. We were determined to send a signal, this man’s life mattered and we are here to hold the justice system accountable. (L) Mother Annie King with her great grandson Zyheer and granddaughter Sahera Muhammad. (R) Brother Hannibal Muhammad and his grandmother Annie King in happier times. The same must happen for Mother King. Every time a hearing or public process happens we have a duty to be there. We must pack the courtroom and send a clear message that we are watching, we are engaged—and we will hold those who are supposed to deliver justice accountable. These are public servants and we want them to do their jobs. We must also be willing to help in any way that we can to get the truth about her death. We must stay with and support the family over the long haul. We must offer prayers, embrace, hold, listen to and love them with an intense love. We must show we appreciate Mother King’s life and work and we share their pain. We have an obligation to show just a bit of the love she showed so many regardless of their faith. We must continue Mother King’s work to make her community and every Black community a decent and productive place. She was active. She was engaged. She was an example. She was a blessing. So long as we remember her and live our lives as she lived, she will always be with us and the world will be better. We must do great things in her name and end the carnage that is taking too many too soon. May Allah be pleased with Mother King and may He strengthen her family, all who were touched by her life and kindness and all who will miss her so. But Allah (God) is the Ever Living and Mother King lives with us, despite the pain, because she was His servant and she served us well. Richard B. Muhammad is editor-in-chief of The Final Call newspaper. He can be reached through www.finalcall.com and at editor@finalcall.com. Find him on Facebook at Richard B. Muhammad and on Twitter:@RMfinalcall. His website is www.richardmuhammad.com. Catch his weekly segment Sundays at 8 a.m. CST on touchfm.org.